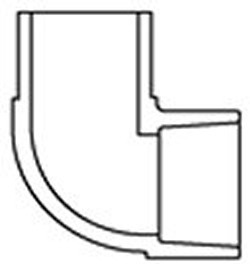 1.25" Sch 80 (GRAY) 90° elbow. Female x male, slip socket x spigot, aka street 90, st 90, spigot 90, etc. fits Schedule 80 and 40 pipe.